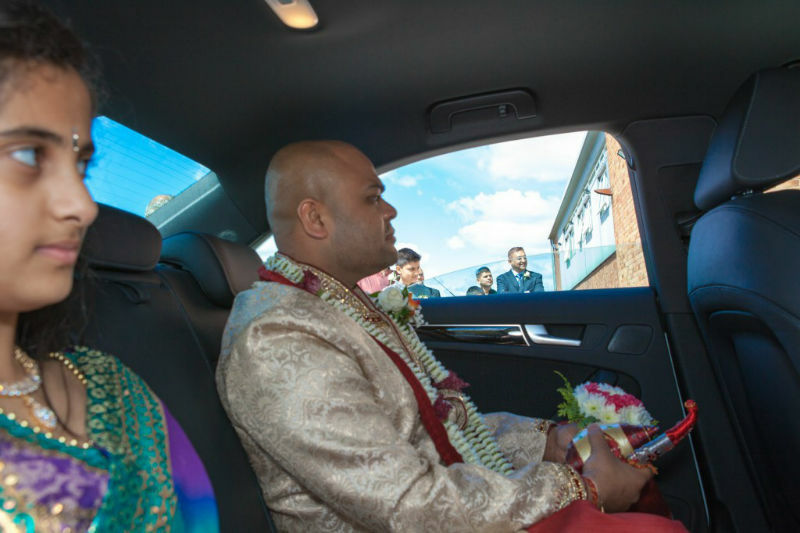 Here are some photos we captured last year for an Indian Wedding. Please feel free to leave your comments below. 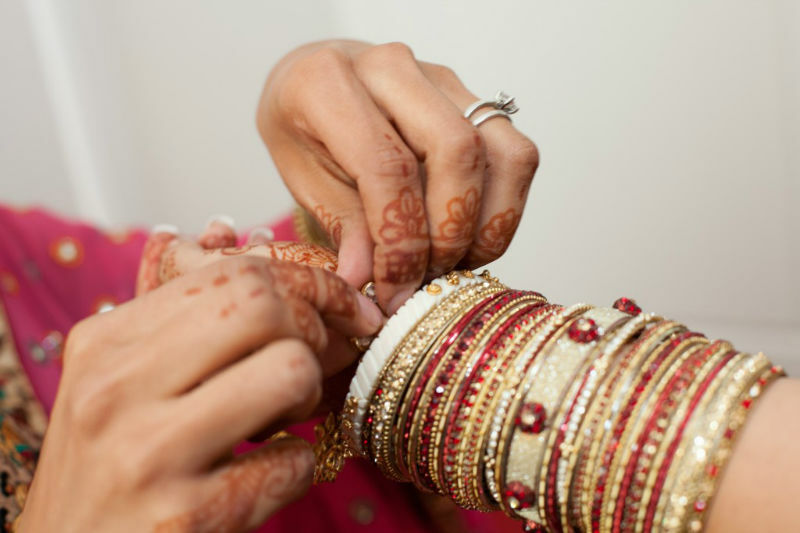 Indian Bride getting dressed for the Big Day! 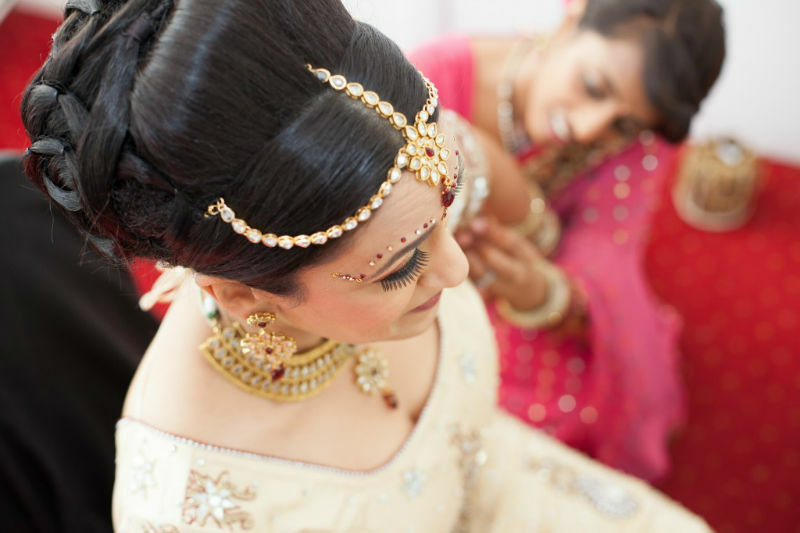 Indian Bride is being dress with the aid of one of her bridesmaid. Indian groom making his way to the Wedding. In his hand is a coconut. The coconuts by both parties are exchanged as a gesture of the marriage contract after the arrival of the groom before he enters the Mandap. Bride’s family and friends awaiting the Groom arrival to the venue. Part of the welcoming ceremony, the Groom’s final tests awaits here. The final test awaits the groom; a small clay pot called Sapatia is placed underneath his feet and he has to crush it as acceptance of the contract with his mother-in-law. The aim is to test his strength! Bride’s parents making sure the Groom is still well hidden from the Bride to be. The shawl will prevent the couple casting eyes at each other before the matrimony, as tradition dictates. This is the most important ceremony of the day then takes place and is called Mangal Fera. The couple will walk around a sacred fire to affirm their marriage. Offerings of Ghee, Sesame seeds and Barley are poured into the fire and there is chanting of Mantras and prayers by the bride to Yama, the god of death so that he may grant a long life to the groom. The sad part of the wedding is that the bride will leave her own family to become part of the groom’s family. It is a very emotional parting as can be seen from the coming photos. The newly weds finally depart in the wedding car and a ritual requires the groom to crush a small coconut under the tyre of his car. This is a symbol for a safe journey back to his home and their new life. Few women will cross the front of the car as it is about to leave to show much they will be missed and as a sign of good luck. The groom will offer them a gift or money so he gets their blessings too!